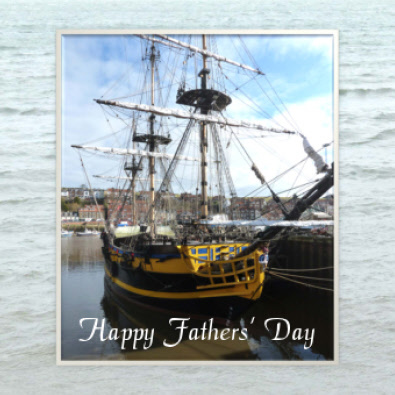 The subjects for the first lot of Fathers' Day cards are photos all taken when we had a day out in Whitby. 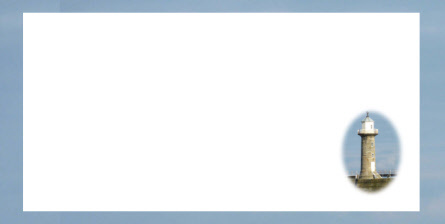 The greetings at the front of the card can all be removed and your own greeting added so you can use the designs for any occasion. 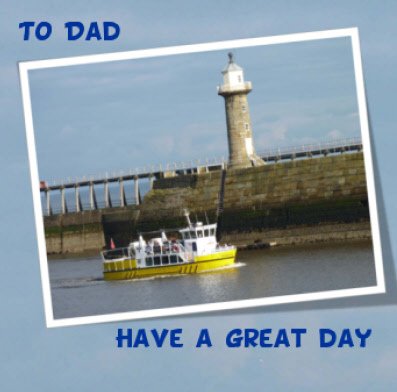 Some greetings would also suit a birthday card for your dad. The first one is taken looking across the harbour to the lighthouse. 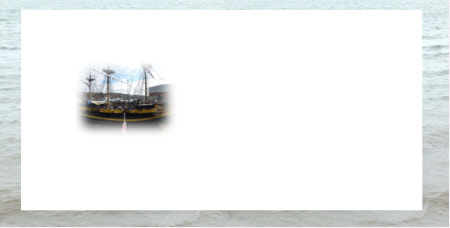 The next card is based on a photo of 'The Grand Turk'- a replica eighteenth century frigate. This is quite a star as it is used in films and TV. 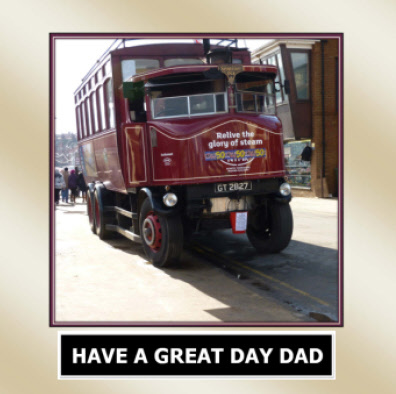 The third card is based on photos of a steam tram located again alongside Whitby harbour. 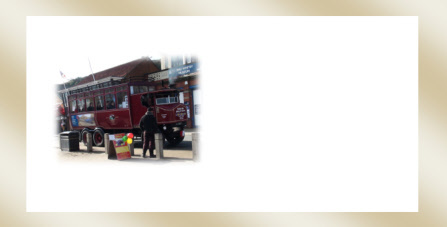 Tram rides could be taken around Whitby.